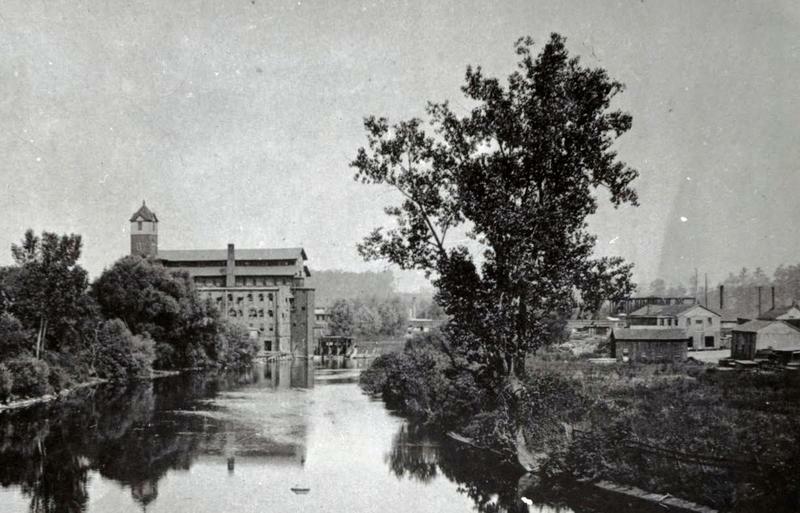 Old photograph of the Michigan Ladder Company building in Ypsilanti. Wood ladders like this one are assembled by hand. This vintage advertisement shows how strong the Michigan Ladder's are. 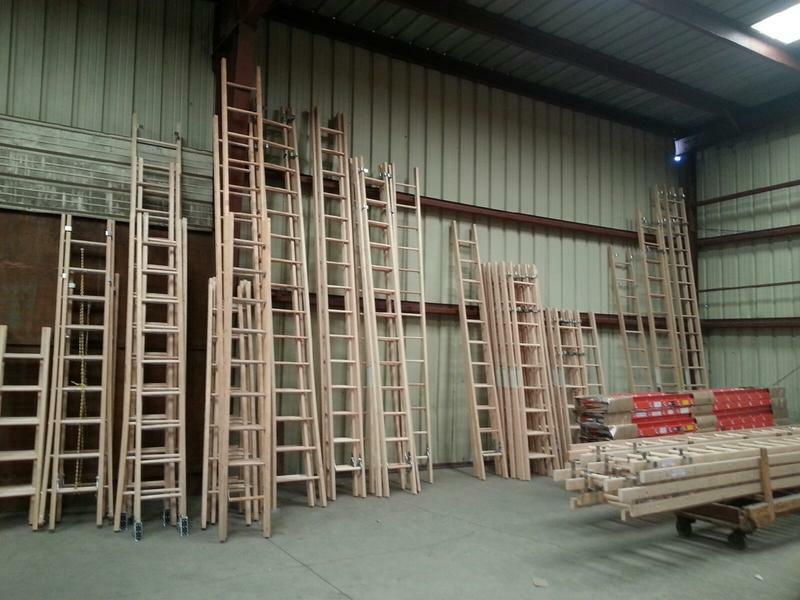 Wood ladders in the warehouse. 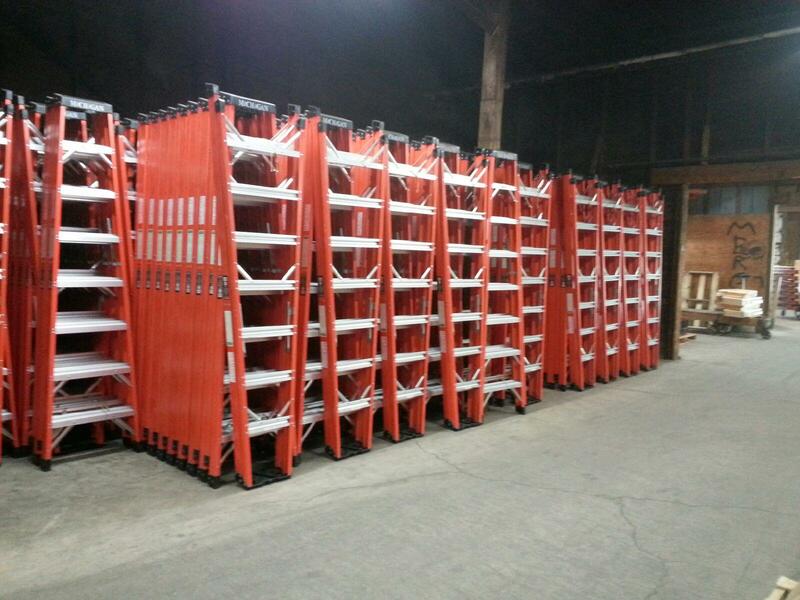 Fiberglass ladders ready to be loaded in trucks for distribution. 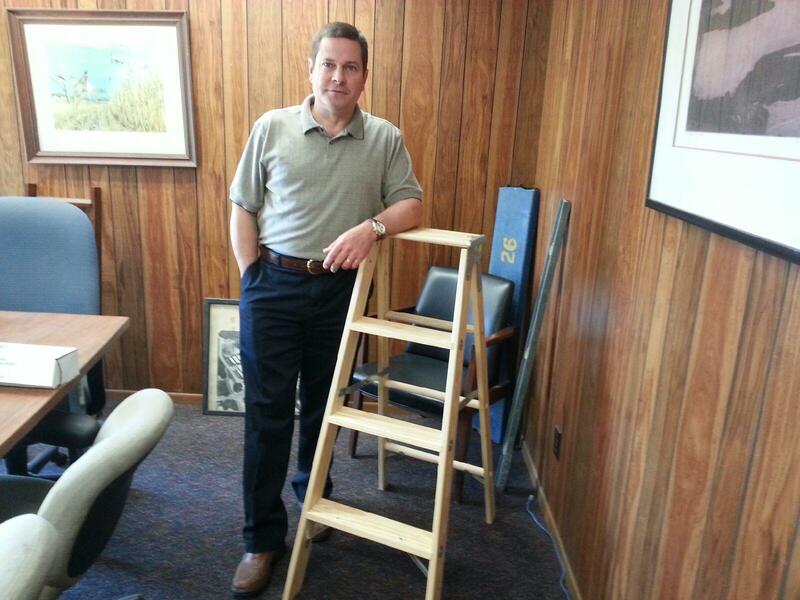 Tom Harrison, President of Michigan Ladder Company. 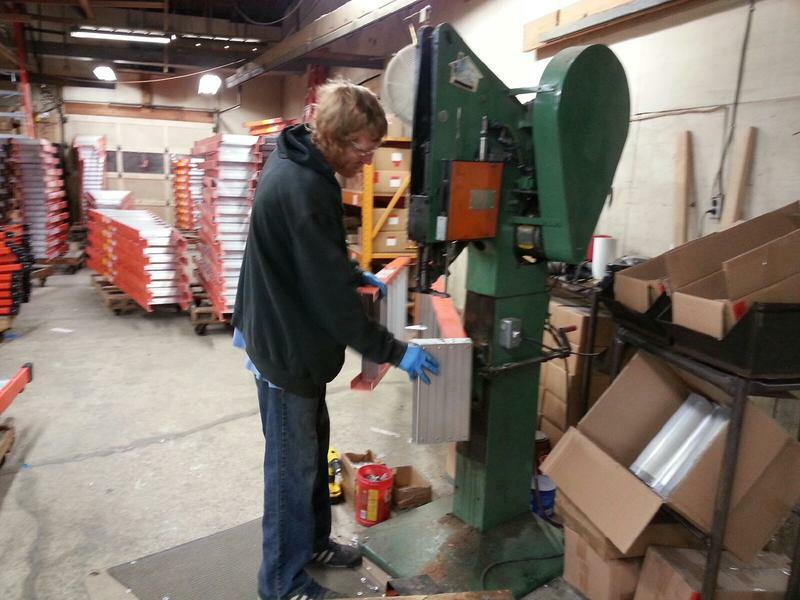 Employee Donald Kenworthy assembles a fiberglass ladder using machinery. Buddy Castle is a shipping clerk and also once helped make the ping-pong tables called the "Detroiter." 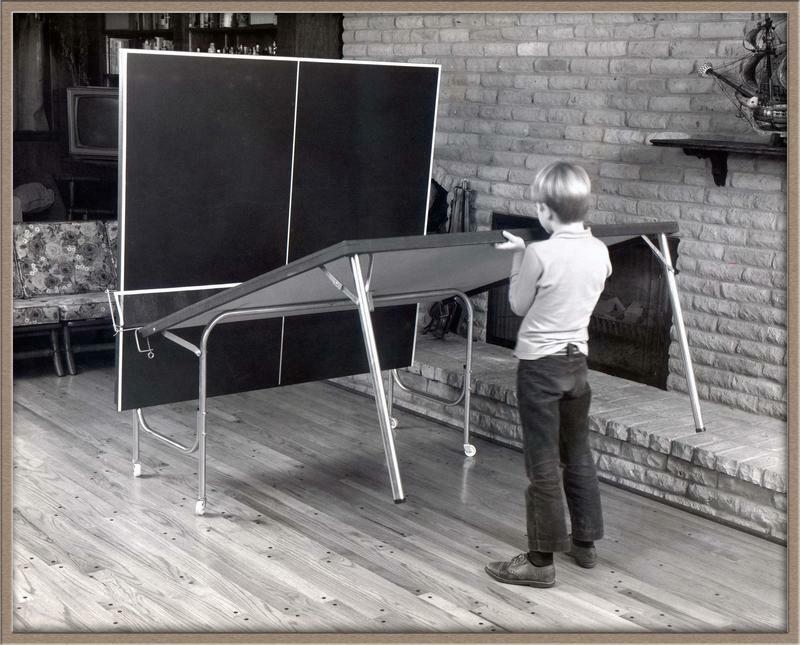 Ping Pong tables called the "Detroiter" were produced by the company from the 1960's to the mid 1990's. 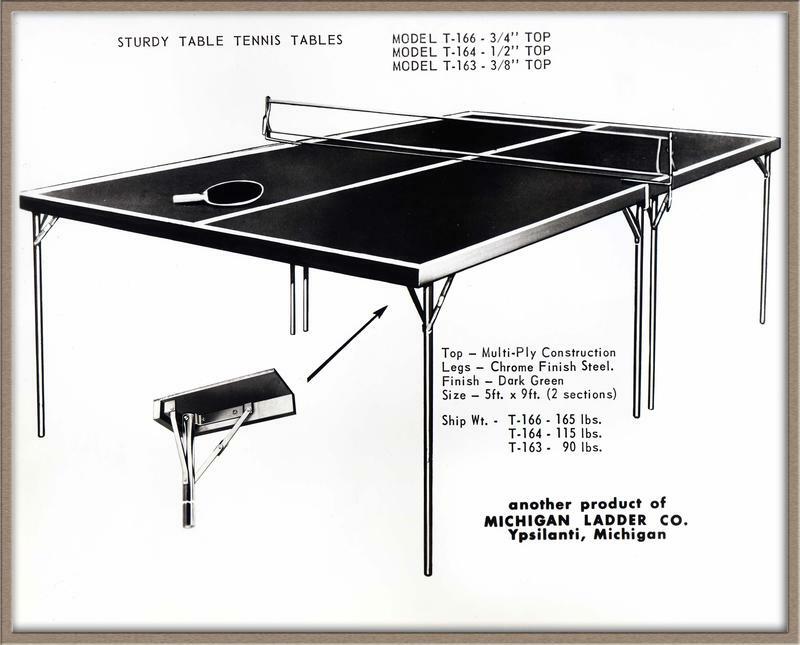 The "Detroiter" ping pong table was featured in the film Forrest Gump. Scott Bruneau is a lumber inspector. 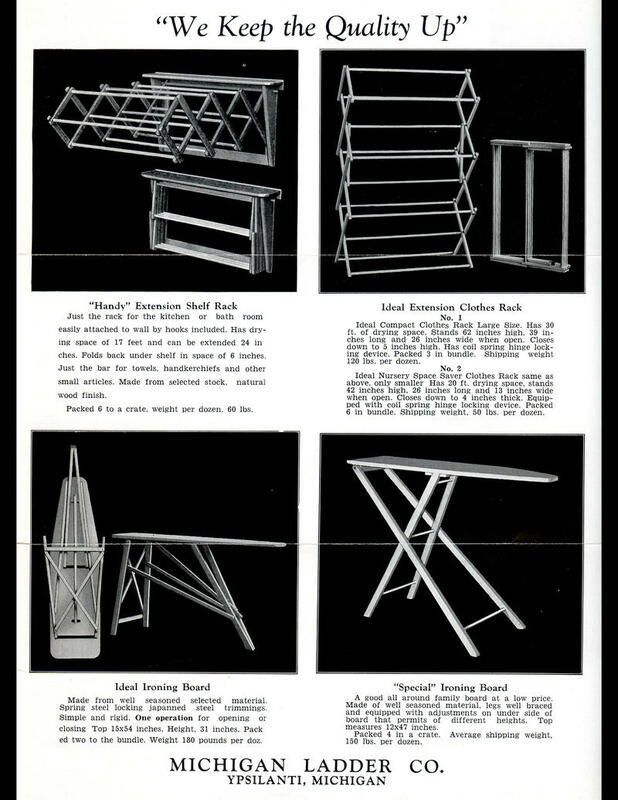 In addition to ladders, in the past, the company also made products like ironing boards and clothes racks. 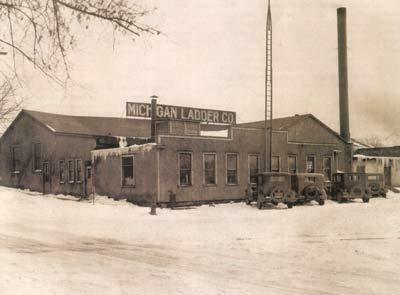 The Michigan Ladder Company opened in 1901. "It's always surprising to me how few people know that we're even here." 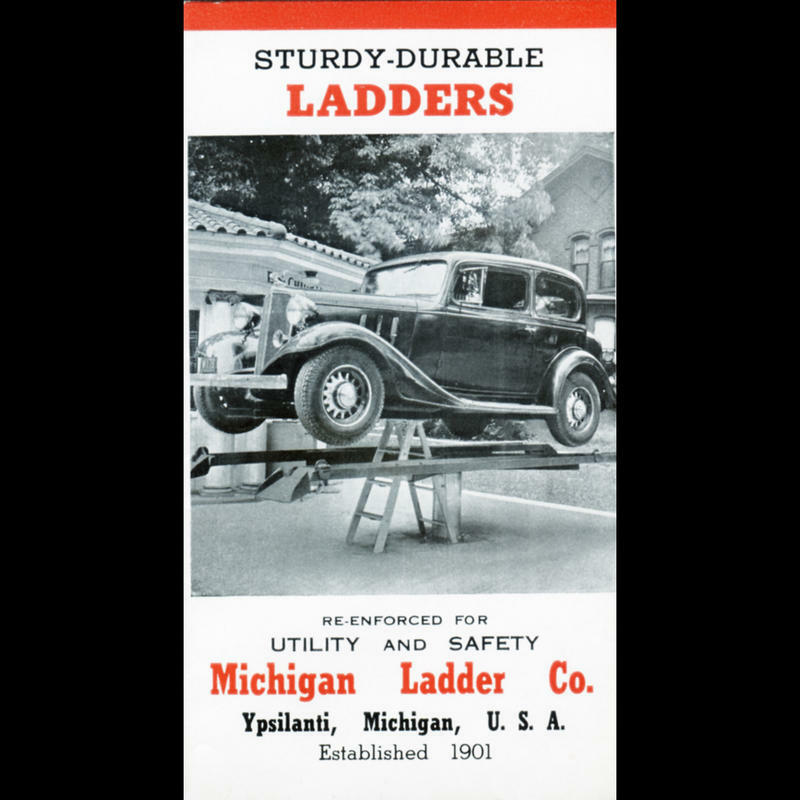 The Michigan Ladder Company has been in the same spot in Ypsilanti for 116 years. It opened its doors at East Forest Avenue, near the train tracks, in 1901. Since then, the company has only had four presidents. Tom Harrison is the current one. 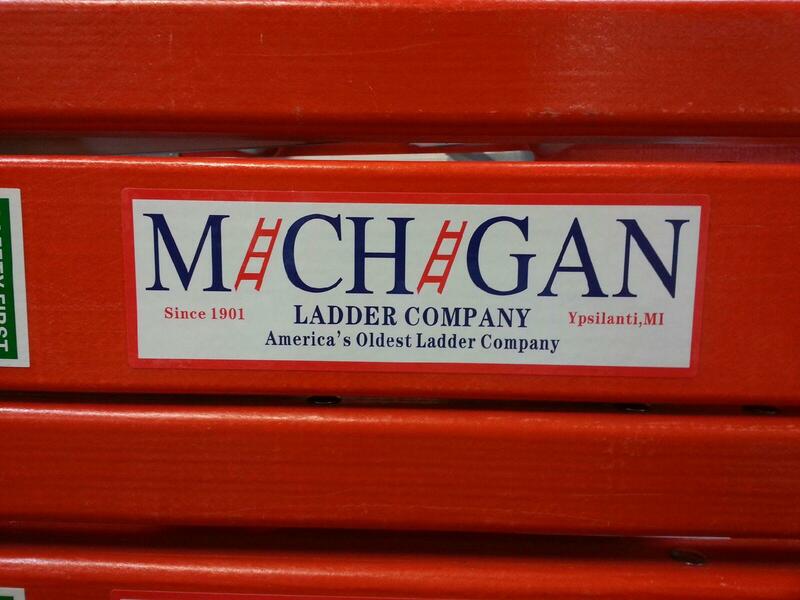 "There were three gentlemen from Ypsilanti who decided that they wanted to make ladders. They made a deal with the city that if they employed, I believe, it was ten people within the first five years, that the city would give them the land." 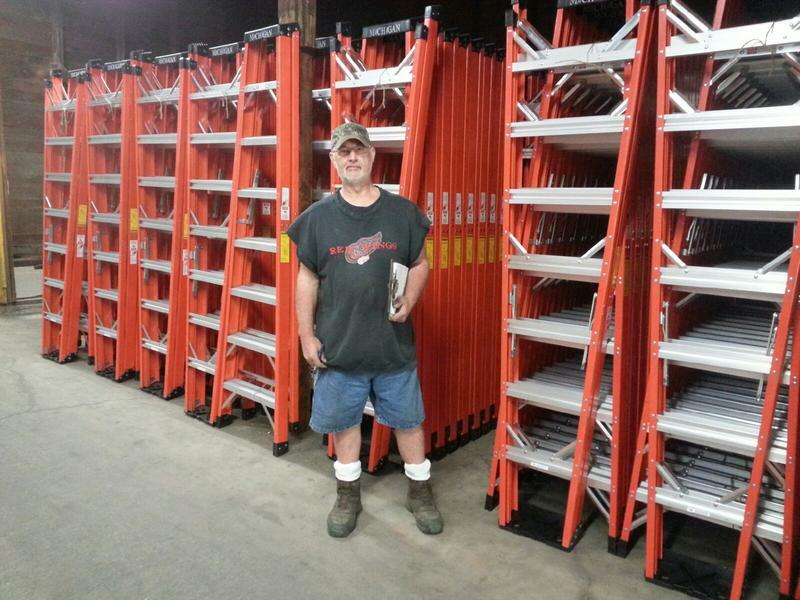 Harrison says they're the oldest ladder company in the country. If you walk by the 75,000 square foot factory, you'll most likely hear workers assembling wood ladders by hand. Over the years, trends changed, and the company started producing aluminum and fiberglass ladders. A popular one called "Double Front Steps," because you're able to climb it from both sides, is assembled using machinery. 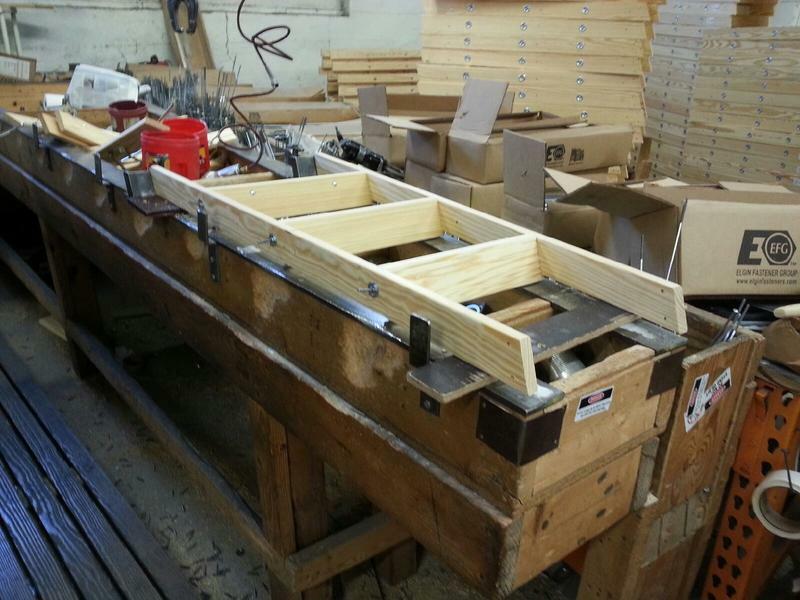 While Michigan Ladder still makes wood versions, the majority of work these days is in the alternative materials. But Harrison says there was a time in the company's history that it provided a more diverse line of products. 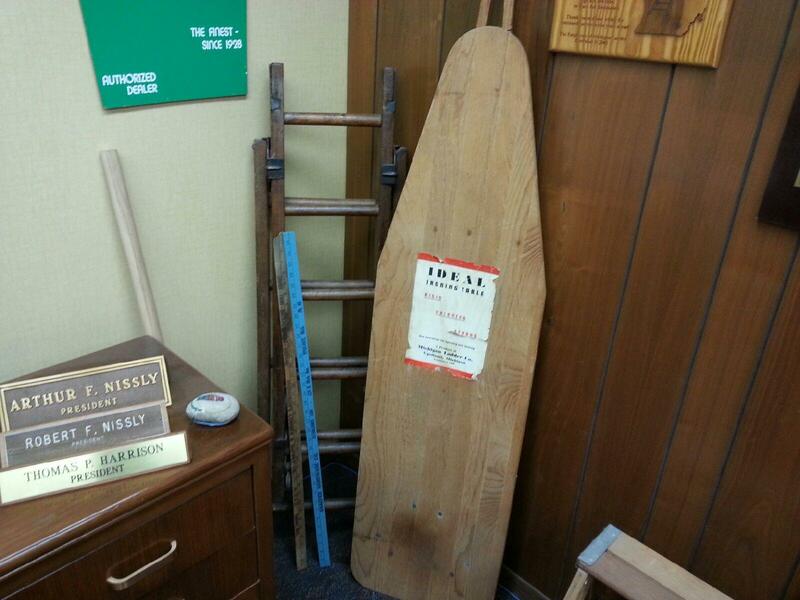 "From toys to diving board to boats to furniture, ironing boards." From the 1960's to the mid 1990's, it produced another product that actually made it to the big screen in Hollywood. Harrison explains what it is. "Probably the most famous other product that we produced here is a line of ping-pong tables called the Detroiter, and, if you saw the movie Forrest Gump, all those ping-pong tables were made here. And those ping-pong tables were shipped all over the world. They were used in the Olympics, the National and International Championships, and so forth." Buddy Castle was part of the team who made the ping-pong tables. He now works as a shipping clerk. We chatted for a bit in the loading dock area. Jorge: "Why did you decide to stay with the company, so far for forty years?" Buddy Castle: "They won't let me go." Jorge: "They can't find anyone else to load the ladders?" Buddy Castle: "They won't let me go. I got a tether on, and, when I go too far, it goes off. It's just a good company, a good place to work, and I grew up on the corner over here. My father worked here, my two brothers, my two cousins, and they all since retired. It's like one big family here." 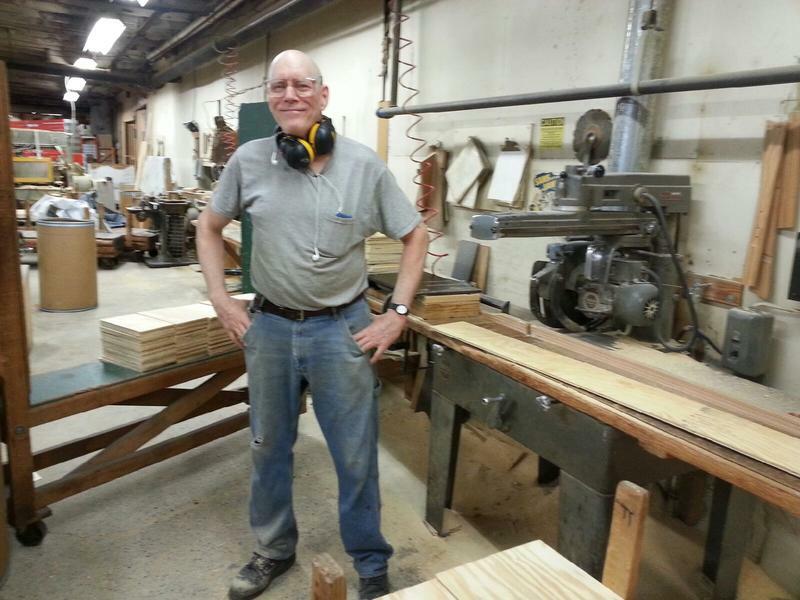 Scott Bruneau is another employee who's been with the company for decades. He's a lumber inspector, and, on this day, he's cutting parts for wood ladders. "There's a history here that weighs upon you at times as I go through this place, such as where I'm standing now. I did the same job here and other things forty years ago, and I can look in certain areas and memories come back to me. Also, it's like I can sense memory ghosts if that makes any sense. I remember people, especially the old guys that were here when I began. Now I'm the old guy, probably older than they were when I got into here." The company has 30 full-time employees. Additionally, it provides employment to about ten people daily who are either part of a disabled or felon workers program. Harrison says Michigan Ladder is not just here to make money but to help the people who live in the community. That, he says, has helped the company. "We had our share of highs and lows, but I think one of the reasons why we continue to do as well as we do is we are an extremely resourceful company. A lot of the machinery and equipment you see in here, we've had people here who made it themselves. We can fix these things and keep them running." 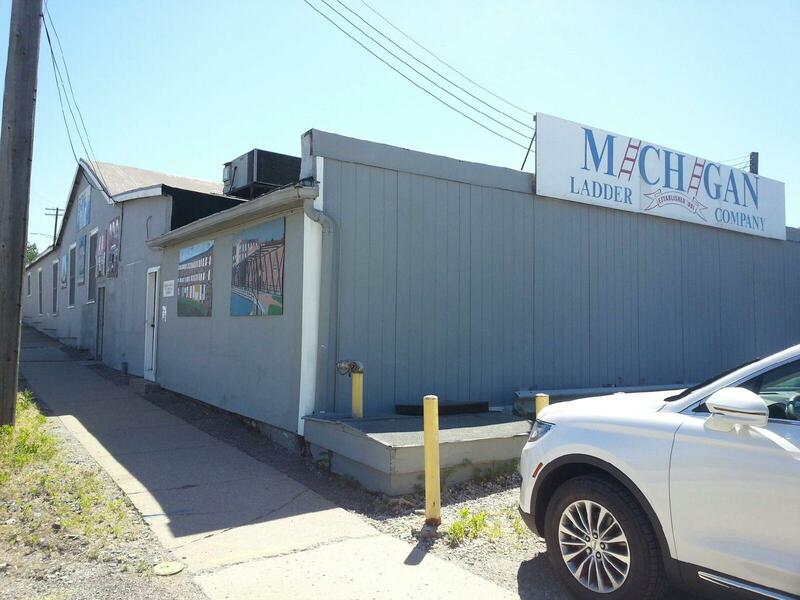 Throughout the years, Michigan Ladder has had the opportunity to move away from Ypsilanti, but Harrison says the company has stayed because this is home. Frederick Douglass is one of the most iconic figures in American history, and, during the height of his career, he visited Ypsilanti to give three separate speeches. We take a look back at his time in Washtenaw County, learn why he was here, and explore where he spoke. To promote diversity and inclusion, Eastern Michigan University is installing new lightpost banners with a specific message on campus and around the City of Ypsilanti. WEMU's Jorge Avellan reports on EMU's "You Are Welcome Here" campaign. 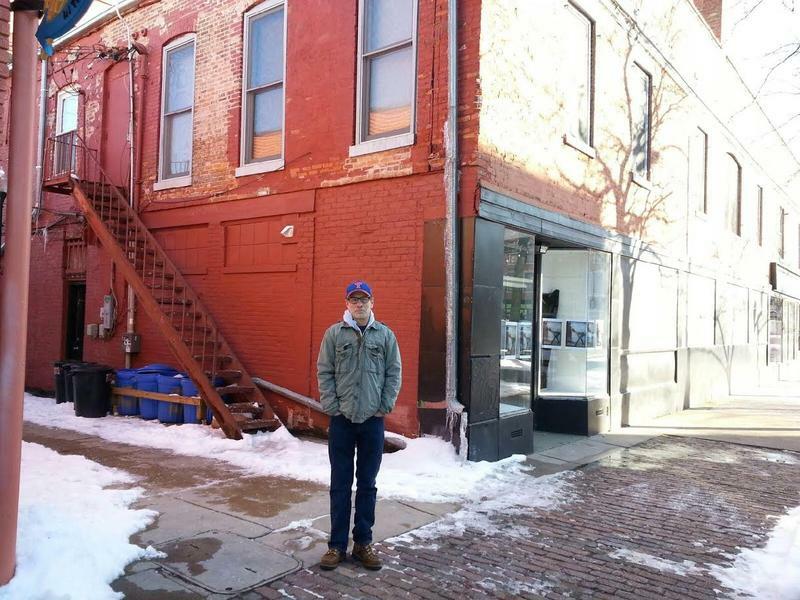 Women have played an important part in Ypsilanti’s 200 year-old industrial heritage. During the late 19th century and early 20th century, women were hard at work in mills throughout the region. They worked for low wages while often standing for long hours in silence. We took a history tour to reveal how important women were in developing a future for the Ypsilanti area.